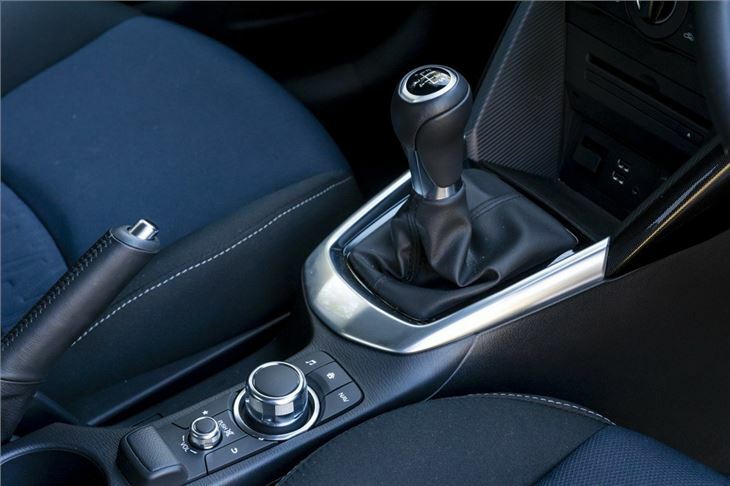 Impressive small hatch that offers a fine blend of comfort and handling. Good economy. Well equipped as standard. The best looking and altogether nicest small car in the class. No spare wheel - just a tyre repair kit. Some build quality issues. Report of leaking rear damper on 2015 Mazda 2 at 15,000 miles. No replacements in stock in the UK. 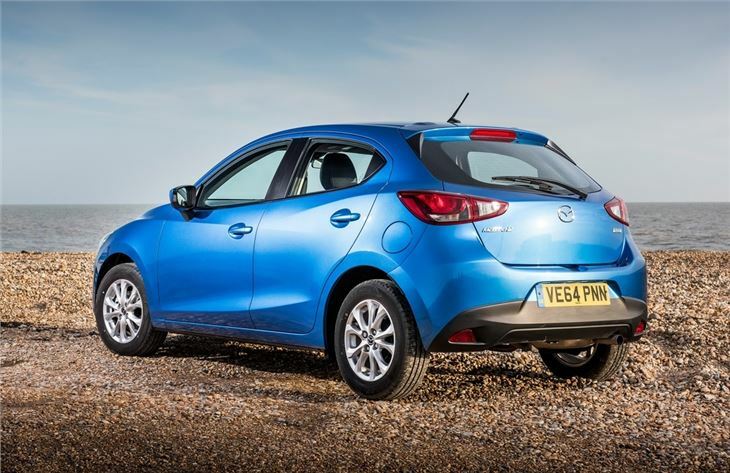 Mazda is on a roll these days, with an impressive range of cars that are good to drive, stylish and practical. 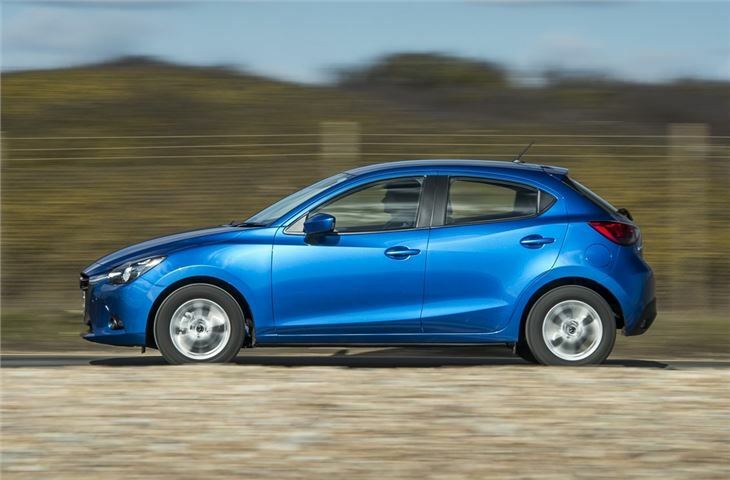 Those ingredients have now been distilled into the smallest model in the range – the Mazda2. 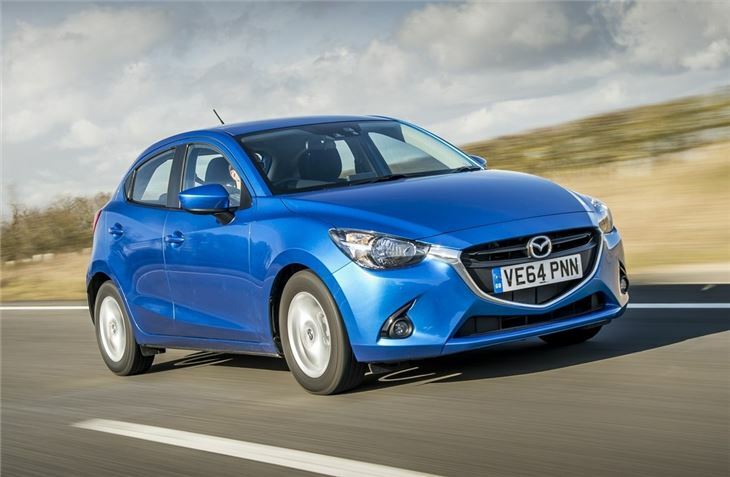 The result is a success, giving big players like the Vauxhall Corsa and Ford Fiesta something to worry about. Like the old 2, the latest model is a great car to drive. The gear change is wonderfully slick, the suspension offers a great blend of comfort and handling and the steering is direct and precise. It lacks the feel of the previous model, but it’s still up there with the best little hatches on sale. Performance is best from the 115PS petrol or 105PS diesel, but the less powerful 90PS and 75PS petrol models are perfectly capable for most drivers – though they do run out of puff on hills and motorways. The diesel offers great in gear performance thanks to a 220Nm torque output, but it is a lot pricier than the petrol models. 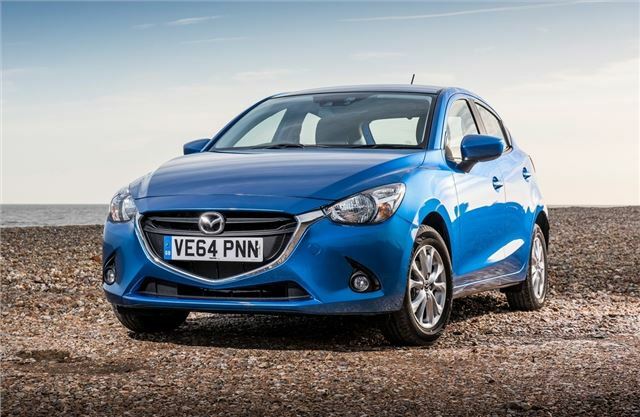 Emissions are low across the board thanks to Mazda’s SkyActiv technology. Overall the diesel offers the best figures on paper, with emissions of 89g/km and economy of 83.1mpg. The cleanest petrol is the 90PS model, with emissions of 105g/km and economy of 62.8mpg. 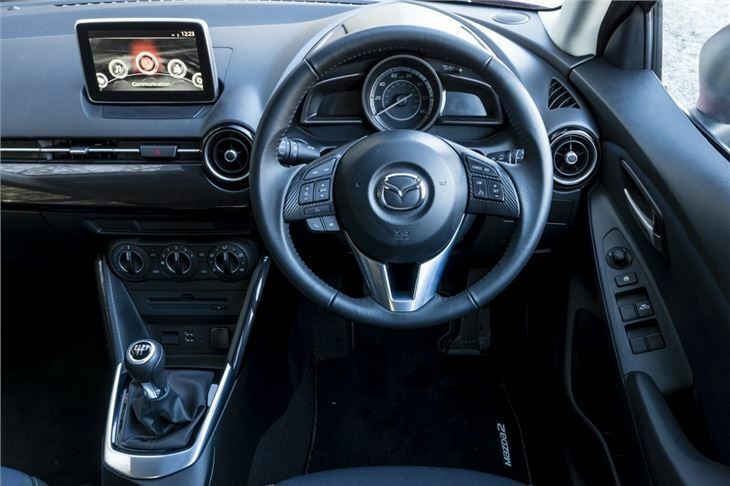 The cabin of the Mazda2 gets plenty of nice modern touches including an intuitive, easy-to-use touchscreen with and impressive nav system and, on higher trim levels, an optional safety pack with head up display, lane departure warning and cross traffic alert to help with reversing out of parking spaces. There’s also DAB radio and smartphone connectivity to make life easier. Prices are competitive for the most part, but picking the more powerful petrol engine or the diesel will push them up. In fact, if you’re tempted by the extra power then you might as well save a few more pounds and buy a proper hot hatch. 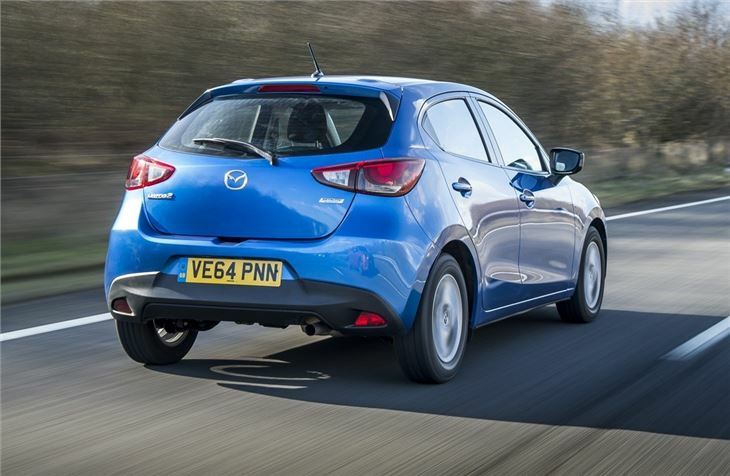 For everyone else, the 90PS Mazda2 makes a great alternative to the usual Fiestas and Corsas and is well worth a test drive.